As much as I love going to the salon for a pamper, it's not always ideal to be constantly going back and forth for treatments - especially when you're someone like me who has eyebrows, hair colour, nails and lash treatments to keep on top off. With this being said, home beauty products that allow me to these treatment myself intrigue me - they can be done in the comfort of my own home with no need to wait for an appointment/travel to a salon and they're way more affordable too - win win! 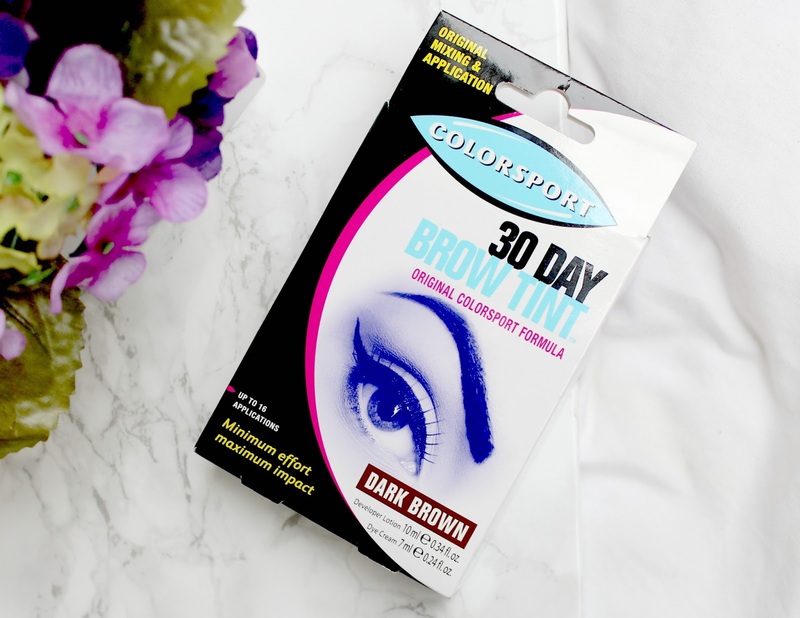 I probably wouldn't trust myself to do my own hair or nails but when it comes to brow / lash tinting, I'm more than happy to give it a go myself so I was very excited to try the Colorsport 30 day brow tint which promised to give natural look and defined brows in a few minutes. 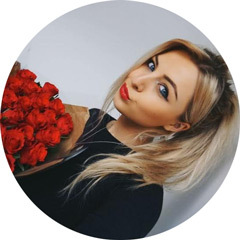 The colour I went for is Dark Brown as despite being blonde, I do have fairly naturally dark brows and lashes - they're just a bit sparse in areas which is why I love to tint them as it picks up every little hair and makes them look naturally thicker. At the moment, they only have the Dark Brown or Black kits available so if you have really light eyebrows and prefer a more medium brown shade, this might not be for you. However, I do think the majority of people would go for the Dark Brown or Black as you always want to go a shade or two darker than your natural brows when tinting as this is what will make them look more defined. 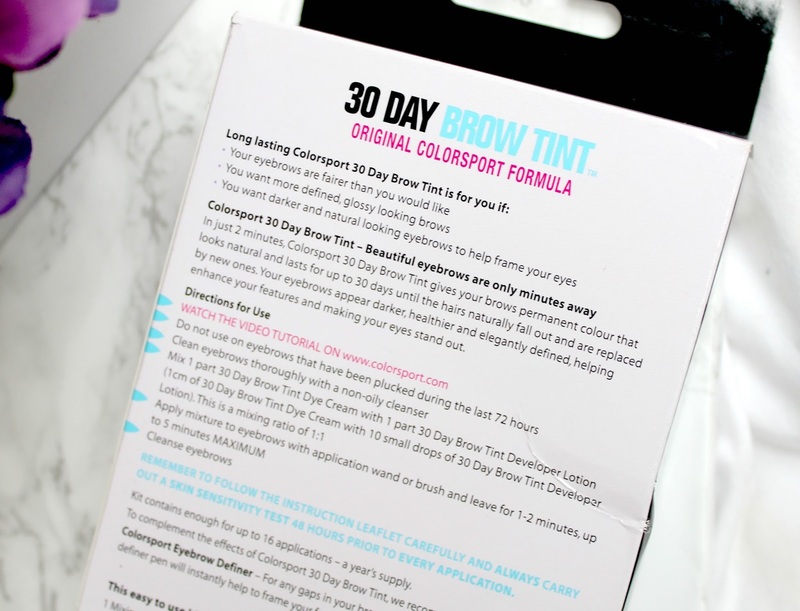 I have to be honest, I was nervous to try this product as I've never done a home brow tint and I was a bit wary I'd end up with a bit of a scouse brow or I'd dye the skin around my eyebrows and wouldn't be able to get it off. However, after reading the instructions, it seemed like a pretty simple process. 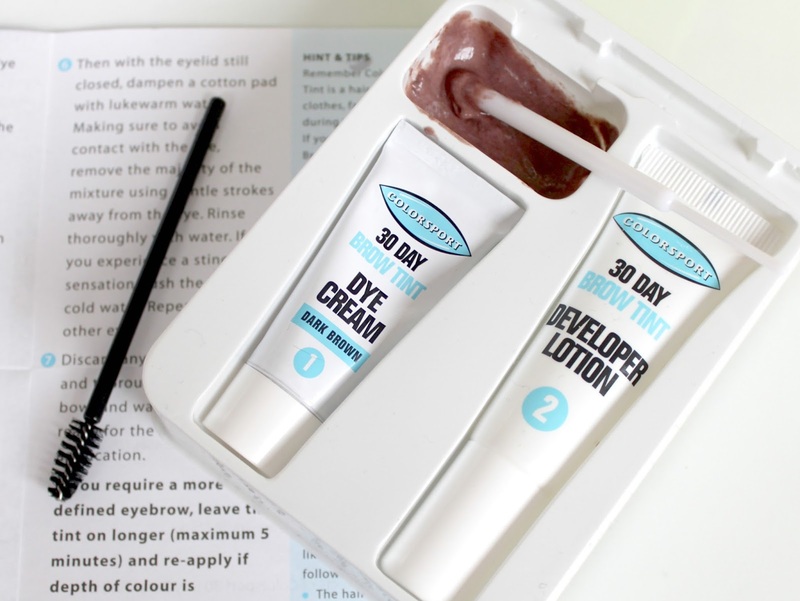 The kit comes with three items - the dye itself, a developer lotion and a cute little spoolie brush to comb the brows and ensure they're completely coated with the colour. The process is really easy and takes no more than five minutes from start to finish. However, when using a dye at home, you MUST perform a patch test 48 hours before to ensure you're not allergic to the product. The kit tells you exactly how to do it so make sure you don't ignore this as it's really important to be safe. Like most people, I was completely fine with the product and didn't experience any redness, itching or irritation. After you've done the patch test, you're good to go. 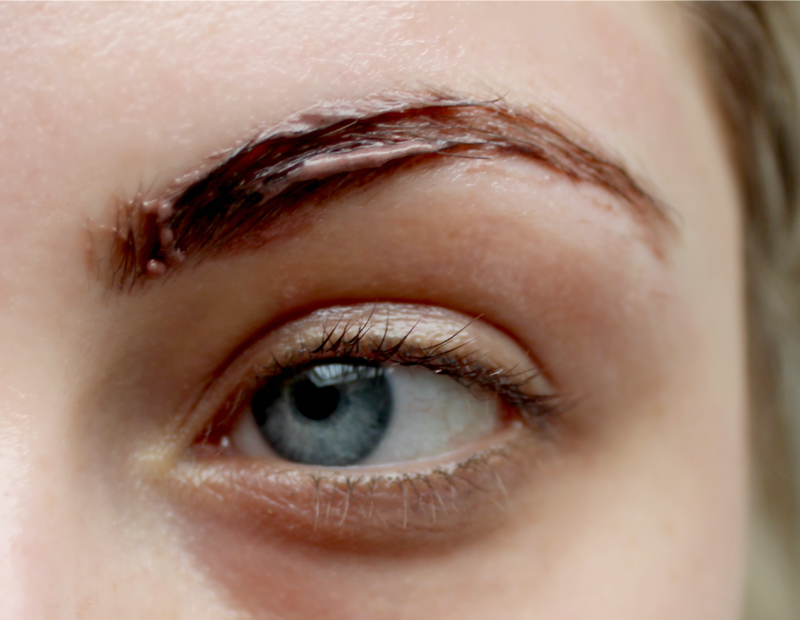 To begin the treatment, you need to ensure your brows are totally clean and then add something like Vaseline on the skin around them to prevent the dye from staining the skin. I didn't have any Vaseline so I improvised and used a lip balm which seemed to work just as well. After that, I simply mixed the dye and the formula (1cm of dye and 10 drops of formula) and mixed it all up in the mixing area provided until it formed a thick paste. I then applied it to my brows using the plastic stick included in the kit. As you can see from the above image, I did apply it fairly thickly to ensure every hair was coated but it didn't feel uncomfortable and it only need to be left on for 1-2 minutes before wiping it off with a cotton pad and warm water. The instructions suggest leaving it on for up to five minutes if you want a deeper colour but I didn't want to risk them going too dark on my first attempt. If you want to watch a video tutorial of the process you can view this tutorial to get a better idea of how it works. When I removed the dye, I wasn't left with any stained skin and I definitely noticed an improvement in the overall appearance of my brows. They looked more defined due to the deeper colour, had a better shape and the hair itself looked shiny and healthy. To be honest, I probably could have left it on for the five minutes without any issues which is good to know for next time I use it. I did try my best to get before and after pictures of my brows but the camera wasn't really showing up the difference in colour, so annoying. Hopefully you guys can take my word for it!! 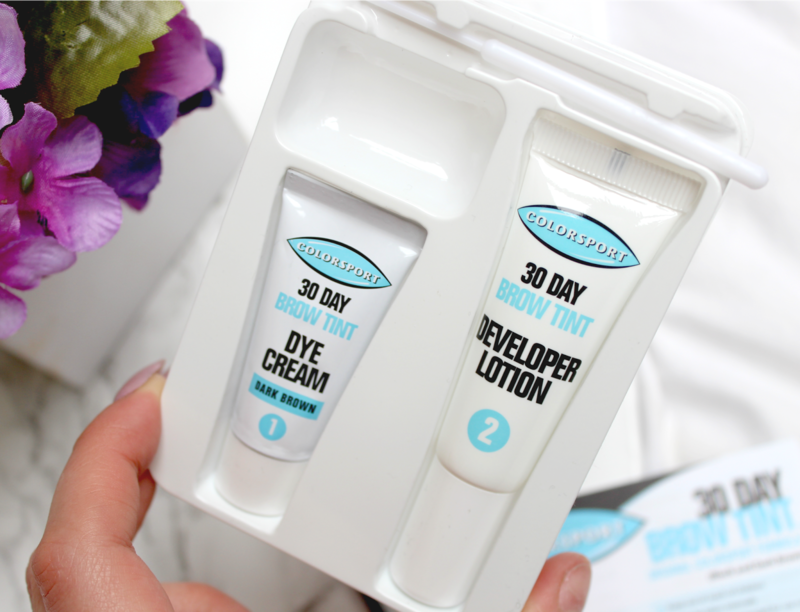 Overall I'd say this is a great little kit for home use - it's easy, quick and fuss free to use and will save you a lot of money on all those salon brow tints. It costs less than £9 to buy which is around the same or less than you'd pay for one treatment at the salon and this kit offers up to sixteen applications. I'm sure you can do the maths on that one but it's a fairly big saving - especially if you're someone who gets your brows tinted regularly. 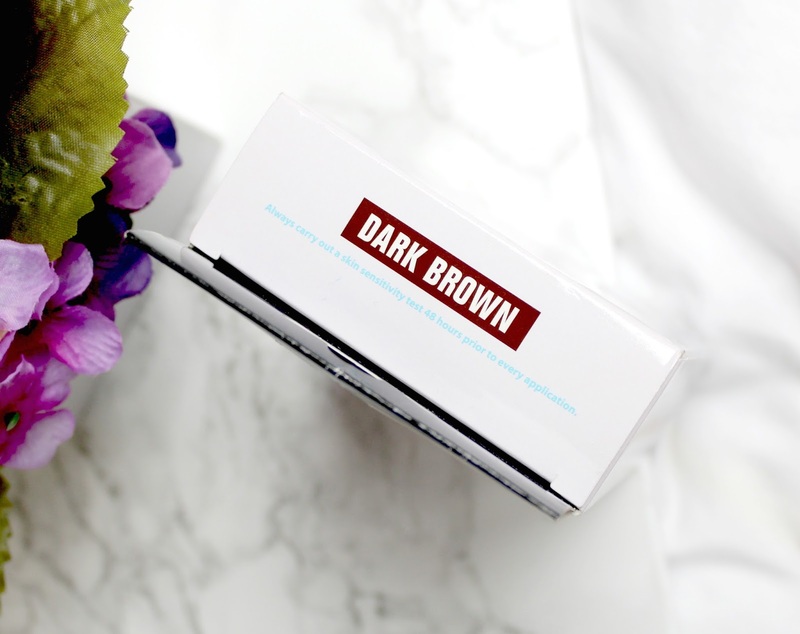 Do you like the sound of this brow tinting kit? Is it something you'd try out at home? It's available to buy here fom Boots for only £8.25. ooh this looks fab, definitely need to try! I am interested...thanks for the post! Okay I am going to try this now! I've been so scared to do brow tinting at home, but I really love how it looks when I get them done. Thanks for the post! Love this review! I always tint my brows at home now. I've been using the Eylure Dye Brow lately as I always use them for lashes, so I thought I'd try the tint too!